The truth with Eitan M.
You’ve waited for it, you tried to guess what is the second Phrase, and now it is finally here… Darker, Deeper, Better… Phrase B! After accumulating experiences across the globe Ritmo has finalized the other side of the Phrase, it is absorbed with a more atmospheric intense sensation and brings an amalgamation of the highest quality Progressive sounds in the galaxy. Ritmo keeps his musical integrity in order to push the boundaries of the music industry and has worked hard on crystallizing what is believed to be the future sound of Progressive Trance music. Ritmo, aka Dubi Dagan from Tel Aviv Israel has conquered the top of the Progressive kingdom in a few years, sneaking into our hearts with his modesty and shyness on the one hand, and his furious and energetic performance on the other, there is no way you can resist his magic! 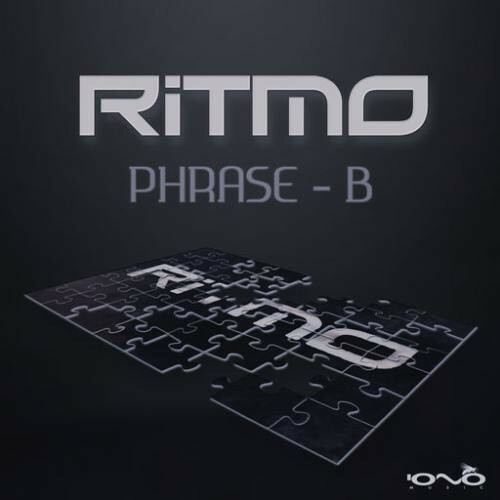 After releasing his debut album Disharmonic Silence on Iono Music in 2008 Ritmo has started to raise much attention, he continued with his acclaimed compilation Archive 9 and has been one of the first family members of Iono Music. From that moment on he released many quality gems, being the uncompromising artist that he is, always working hard to mould the perfect sound. Along the way he had some collaborations: Ritree with Suntree aka Alon Brilant and Arctic with Gaudium aka Andreas Wennersköld. Although we live in a world of uncertainties, Phrase B is a piece of art you know that starts with The Truth, that inner voice that whispers in your ear that you are going on the right path. It is a crazy time indeed, an era where we experience The War Against the Machines that took over every piece of human landscape and digitized it. They would want to make us believe that this is The Way We Are, but we know better don’t we? All you need to do is to think At the Beginning, when it was all much more simple, pure and free. Luckily we have a visiting artist to remind us that reality can have many interpretations, and he gave us his own unique one. This Perfect Stranger, aka Yuli Fershtat, has remodelled the notorious hit Follow Me and gave it his own special minimal-techy touch which enhanced the magic of the track. It left no other choice but to Follow me… well, Are you coming?